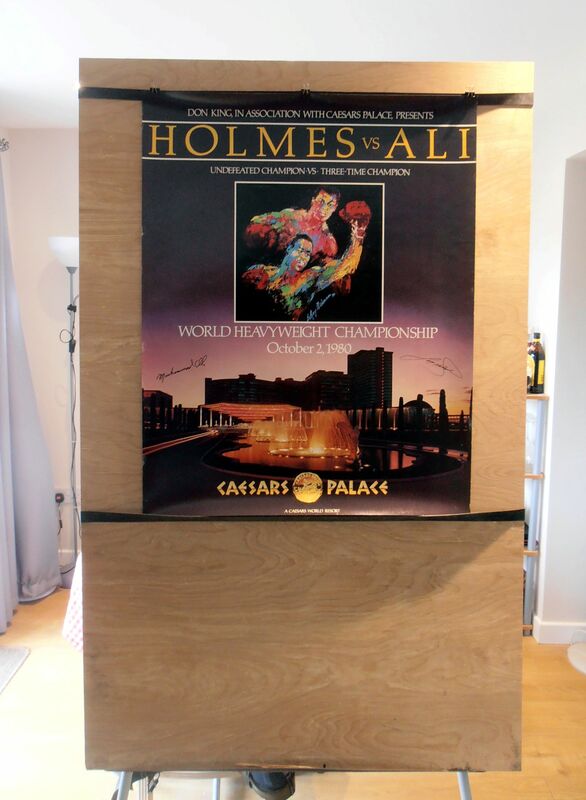 Description : Here we have the official Caesars Palace VIP invitee/high roller onsite poster with facsimile signatures sent out only to selected guests (Leroy Neiman art work) for the WBC world heavyweight title. Caesars Palace, Las Vegas, Nevada, USA. 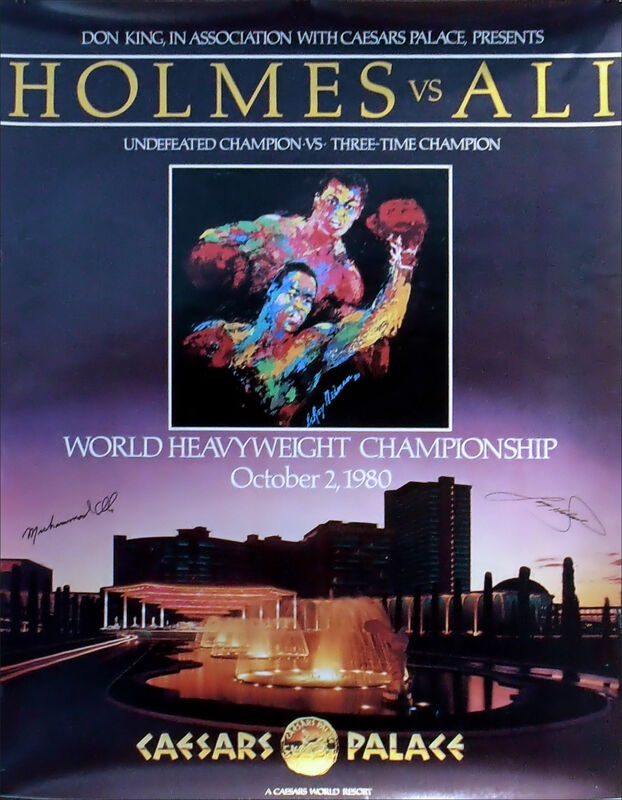 On July 17, 1980, Ali and Holmes signed to fight on October 2 at Caesars Palace in Las Vegas. 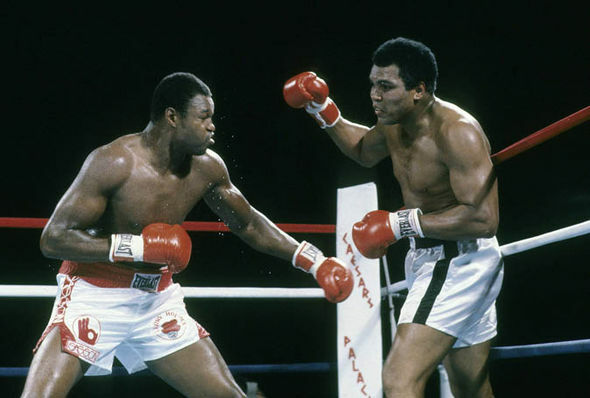 Promoter Don King said Ali would be paid $8 million and Holmes $6 million. Caesars Palace constructed a temporary 24,790-seat outdoor arena for the fight. The live gate was $6 million, a record for that time. There were no knockdowns, but Holmes dominated the fight and was given every round by all three judges. Ali's corner stopped the fight after the tenth round. Postage: 10.00 Special Delivery... 20.00 International registered airmail. Condition : Good / minor handling*surface*edgewear.